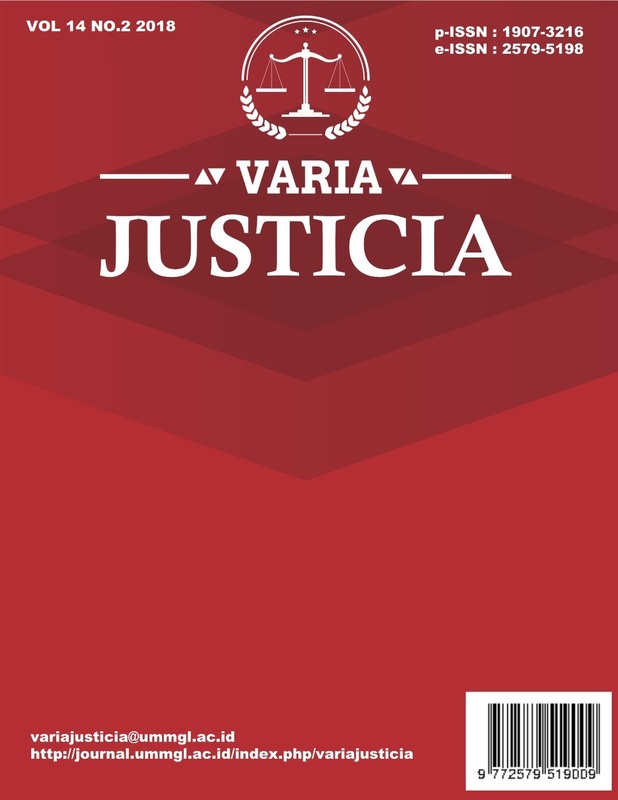 Varia Justicia welcomes research papers on a range of topics that include legal studies in both criminal laws, civil law, state administrative law and constitutional law. The aim is to increase critical understanding of legal developments in the theoretical and practical level. FYI, Starting Volume 14 (2) 2018, All papers submitted to this journal should be written in English language.